In 2015 I co-organized Hack4Europe, a hackathon for hackers, designers, entrepreneurs and tech lovers across 5 countries. The best teams had the great opportunity to be mentored by the best Tech companies such as Uber, Dailymotion and PayPal. Finalists were rewarded with prizes worth a total value of €50,000, including trips to San Francisco, iPhones 6, Apple watches, and even more prizes. The goal of the 2 months hackathon was to mix APIs from many startups (30) that I had selected to develop innovative applications. Hack4Europe had 6 categories. 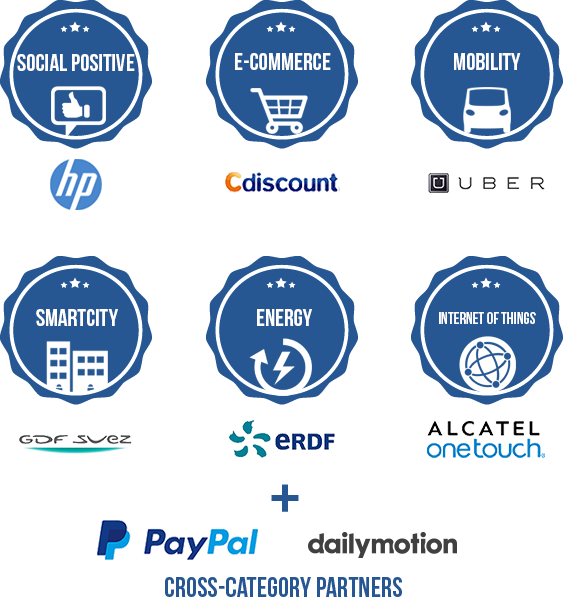 Each category was composed of an ambassador company and innovative startups, providing several APIs. Participants were able to assist the “kick-off tour” in order to meet the other participants and complete their team (or join one) in the following cities: London, Paris, Madrid, Berlin and Milan. I animated the Madrid event, at Universidad Computense. On July 2nd, 2015, the Ministry of the Economy, Industry and the Digital Sector hosted the Hack4Europe final. More than 500 key European players, including large corporates, start-ups and colleges, as well as developers, designers and creators, watched the lucky finalists present their applications, and, for the first time, were able to vote for their favourite projects! Round tables, oral presentations of the best ideas, awards ceremony, cocktail… An amazing final thanks to all our partners and finalists who offered a lot of high quality applications! Check out the winning projects here and the awarding ceremony here.